A New Nose Without Surgery? Injection rhinoplasty is becoming more and more popular because there is no down time, they are fairly inexpensive and can be done without sedation or anesthesia and can be done in less than 10 minutes. The popularity of this procedure also lends to the fact that one doesn’t have to commit to the final result because the filler or rather fillers used to alter the look of the nose are not everlasting and only last approximately 7 months. 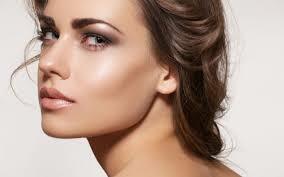 Rhinoplasty surgery or commonly called nose job is one of the most difficult plastic surgery procedures. Thus some individuals would like to experiment with different looks before they decide to go under the knife. Injection rhinoplasty is a non-surgical treatment where fillers like Restylane and Juvederm are injected into the soft tissue in your nose to alter the look of nose. Most of Dr. John A. Kotis’s patients have injectable fillers placed in depressed areas on the nose primarily on the bridge to smooth the appearance of bumps or to lift the angle of the tip of the nose. It is very important to understand the desires and expectations of the patients and Injection rhinoplasty allows one to experiment with those desires and expectations because they are not permanent. This procedure unfortunately cannot reduce the size of one’s nose. In addition to the lack of commitment the popularity of this procedure is attributed to the fact that there is no downtime, the results are immediate and the procedure can be done in less than 10 minutes. In this fast paced world people are looking for instantaneous gratification and results. Injection rhinoplasty does just that!! If you are interested in an injection rhinoplasty please contact Board Certified Plastic Surgeon Dr. John A. Kotis at 847-595-0164. We have two office locations in both Chicago and the Northwest suburbs.